Seattle’s income tax on wealthy households failed its first legal test on Wednesday. Seattle’s income tax on wealthy households failed its first legal test Wednesday, with a King County Superior Court ruling that the measure is illegal. In a summary judgment, Judge John R. Ruhl agreed with multiple challengers that the city ordinance adopted in July is not authorized under state law. Opponents of Seattle’s so-called “wealth tax” immediately hailed the ruling as proof that the city long has known the tax was legally flawed, but nonetheless pushed it into law. While Wednesday’s decision is “disappointing,” the city intends to appeal it directly to the State Supreme Court, where officials always expected the question to be decided, a spokeswoman for Seattle City Attorney Pete Holmes said in an email. 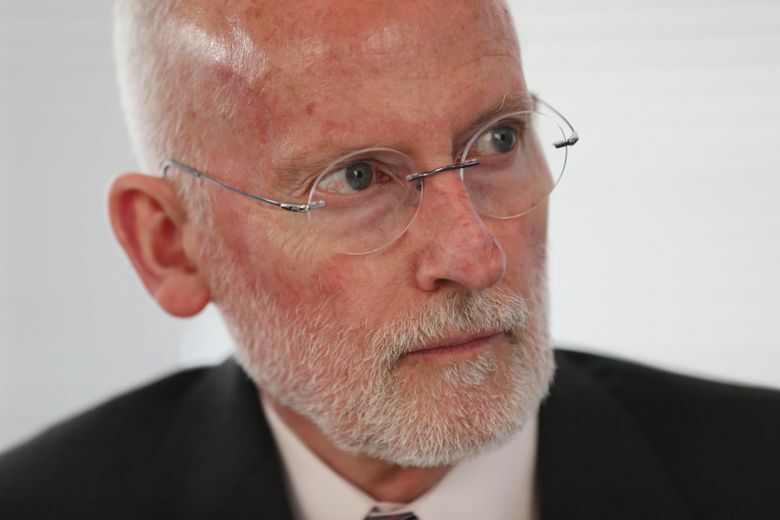 In a joint statement, Holmes and Seattle Mayor Tim Burgess said their goal is to eliminate the state’s overreliance on regressive sales taxes and ensure the wealthy pay their fair share. Washington’s tax system has been called the most regressive in the country, meaning that low-income people pay a much higher percentage of their earnings than wealthier residents. Passed by a unanimous City Council vote in July and subsequently signed into law by former Mayor Ed Murray, the Seattle measure would impose a 2.25 percent tax on total income above $250,000 for individuals and above $500,000 for married couples filing together. The city estimates it would raise about $140 million a year. Proponents say that money could be used to lower property taxes, help the homeless and expand provide affordable housing. The tax was immediately challenged by private citizens and organizations, including the Olympia-based free-market think tank The Freedom Foundation. Wednesday’s ruling undercut most of the city’s legal arguments for the tax, pointing out that state law explicitly prohibits taxes on net income. The city had argued that its tax would apply to “total income” instead of net. The city also described it as an excise tax, imposed on those who live in Seattle in the same way excise taxes are imposed on companies that do business in the city. The judge did not rule on whether the tax violates a provision in the state constitution requiring all property taxes be imposed uniformly. The opponents argue that income is property, so it’s not legal to single out the wealthy for taxation, Hodges explained. “In order to uphold its income tax, the city would have to convince a court that individual income is not protected by the constitution,” he said. At the Supreme Court, Seattle officials hope to attack the long-standing interpretation that income taxes are property taxes, opening the door to what proponents see as a fairer tax system statewide. “In order to build a more just and equitable society for all, we need a serious overhaul of our state’s tax structure,” Holmes and Burgess said in their statement.